Real Madrid are thought to be casting their eyes elsewhere as they look for Cristiano Ronaldo’s replacement. 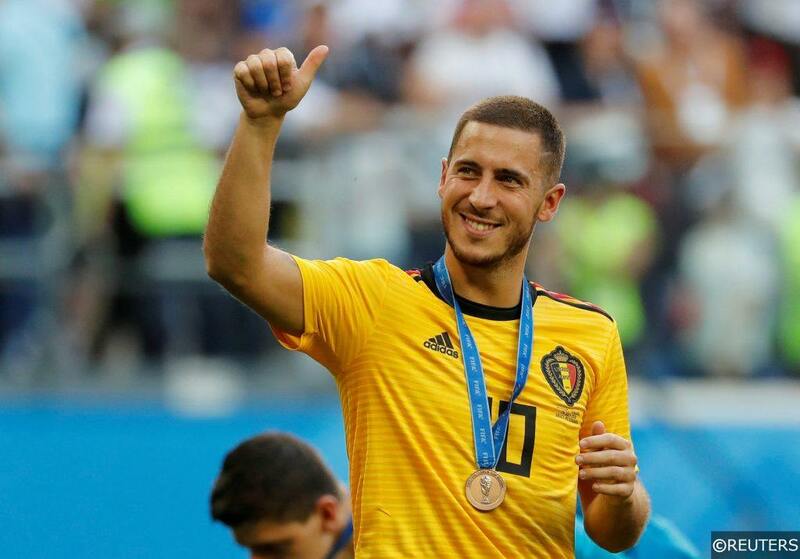 The La Liga giants’ top transfer target was Eden Hazard, but Chelsea’s huge £200 million asking price for the 27 year old Belgium captain has caused them to abandon their pursuit. Despite new Arsenal boss Unai Emery saying Ramsey’s future is set at the Emirates, the latest report suggest the Welsh midfielder could be on the move. Cross-town rivals Chelsea are the biggest candidates to sign him in a £30m deal. 19 year old USA international Christian Pulisic has put in a string of impressive pre-season performances for Borussia Dortmund, and his potential has caught the eye of a number of Premier League clubs. Chelsea and Liverpool are thought to be monitoring the winger’s progress, and Borussia Dortmund have informed them that a cool £65 million would be enough to pry the youngster away from the Westfalenstadion. Reports are emerging from Craven Cottage that a fee has finally been agreed between Newcastle and Fulham for striker Aleksandr Mitrovic. The Serbian international, who is still just 23 years old, spent the last half of the 2017/18 campaign on loan at Fulham. He scored 12 goals in 17 matches, and with Newcastle pursuing Salomon Rondon they are williing to let the formidable striker go for an initial £22 million. Jose Mourinho continues his search for a new centre back, with his latest target being Barcelona’s 23 year old Colombian international Yerry Mina. The Barcelona man scored three goals in three appearances at the World Cup, but he has only played five league matches for Barcelona since signing in January. After his World Cup performances, the Catalan giants are thought to value Mina at £25 million. Speculation surrounding Reading’s Liam Moore is mounting after the 25 year old was left out of their match day squad against Crystal Palace on Saturday. The 25 year old defender played in every match of Reading’s Championship campaign last season, but handed in a transfer earlier this month as he looks to secure a move to Brighton. Marco Silva is hoping to make his second big signing as Everton manager as he turns his head towards World Cup winner Lucas Digne. The Barcelona left back is thought to be looking for more regular first team football, and a fee of around £25 million has reportedly been agreed between the two clubs. Former Blackburn midfielder Steven Nzonzi has been catching the eye of Arsenal manager Unai Emery recently. The 29 year old Frenchman, now of Sevilla, has revitalised his career, but he looks set to choose AS Roma over Arsenal in a deal worth around £29 million. Jose Mourinho is looking to bolster his attacking options by signing Bayern Munich’s Robert Lewandowski. The Polish striker, who has been the Bundesliga top scorer in three of the last five seasons, would set Manchester United back around £500,000 per week though. Newcastle are set to resist Leicester’s approach of centre back Jamaal Lascelles. The Foxes’ grip on Harry Maguire seems to be slipping, but Newcastle have insisted that they would turn down a bid of £35 million for their 24 year old defender should it come in. Categories: Blog, Football, Premier League, and Transfer News. Tags: barcelona, Chelsea, hazard, Lewandowski, manchester united, mina, mitrovic, Premier League, Real Madrid, transfer, transfer news, and transfers. League: England Premier League. Sports: Football.